I am a coffee lover, not one of those over the top persnickety coffee lovers but just one of those "I gotta have my cup of coffee every morning" coffee lovers and so it only makes sense that I love cutting images that pertain to such a delectable and necessary for life liquid! 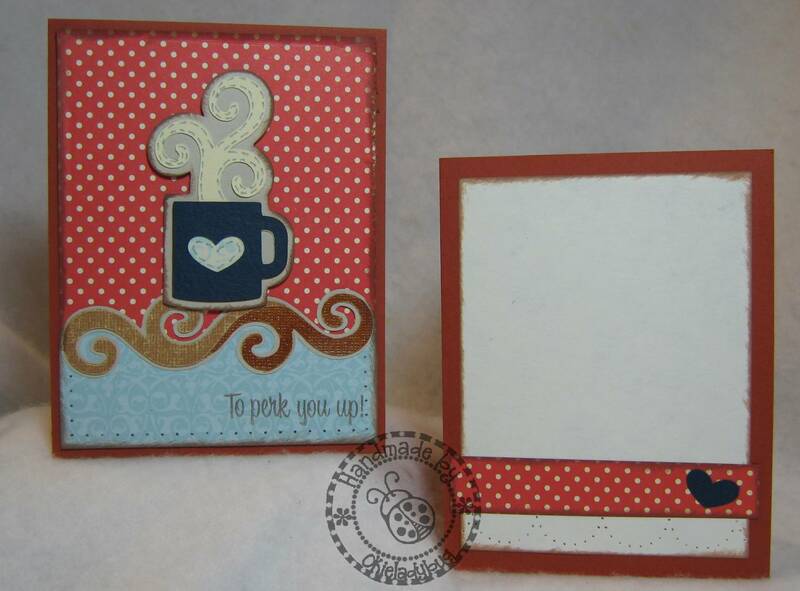 I hope on doing some more coffee cards in the near future, this one was more of a test than a work of something I hoped would turn out cute. I thought the front of the card was a little plain and I wasn't sure what to do with it to make it look a little more cute so I decided to add a little strip of polka dot paper to the inside and then used the blue heart that was cut out from the mug. While it didn't dress up the front it did add to the overall cuteness of the card. I wanted to try and show the effect Glimmer Glaze gives so I took this picture at an angle. I am not sure it really shows the effect but you can see the shine, although not so much of the glimmer. 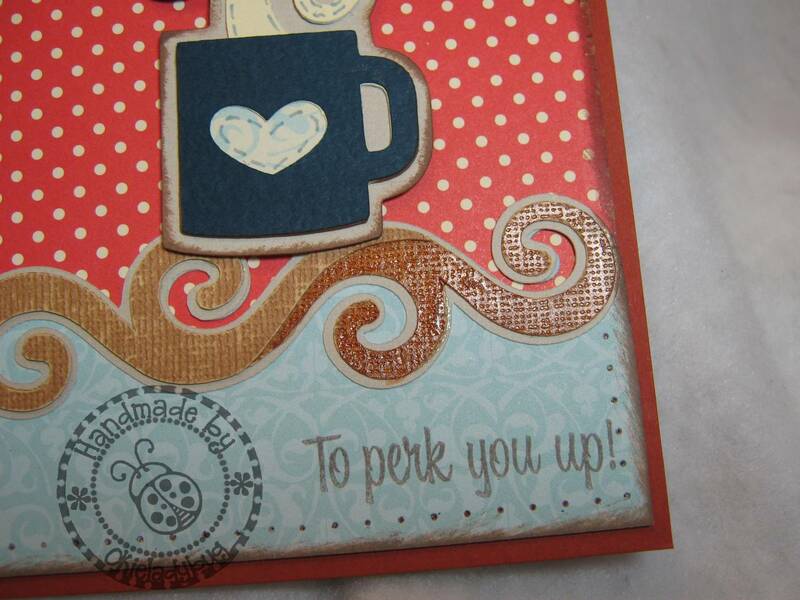 I thought it would also maybe look like coffee with a little creamer, not sure I got that effect either. But, either way I do think it made the card a little more interesting. Here is another view of the Glimmer Glaze on the scroll piece. This also shows how I put mounting foam on the cup. The bottom blue piece is a cut included in the file and matches up with the scroll. It was a lot nicer than having to cut it by hand. The scroll has 3 layers - shadow, bottom layer and top half scroll layer. I did make multiples so if you download the MTC file you will need to delete the pieces you don't want to cut. SVG - Coffee Mug Scroll keep images grouped and size at 8.0625 wide x 4.7987 high, then ungroup. So cute. 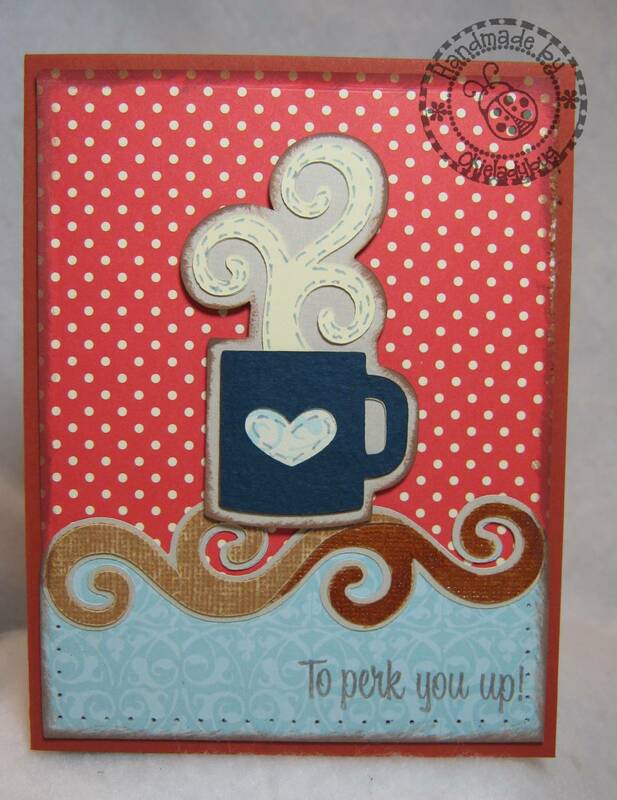 I know a lot of coffee drinkers that would like receiving that card. I love the shimmer effect! Thanks for sharing! oh I think its really cute okie. I am an espresso person....need to be with mo getting up so early everyday!! lol!! 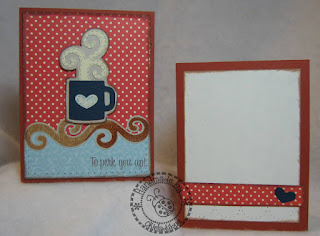 Adorable, I love this card and the colors/papers you used. This is so cute, love the "wavey" embellishments. Cute! 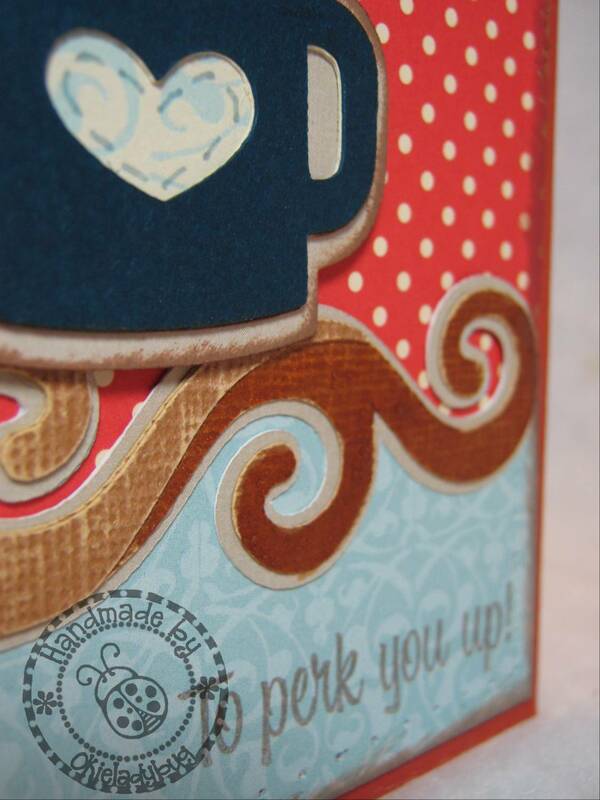 I love the glimmery coffee waves. 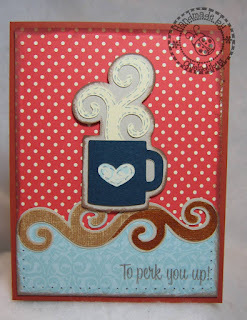 I love coffee cards and this is cute!! I have to have that one cup in the mornings. Any more than that and my hair stands on end and I have the shakes...lol. Pretty scary...lol. 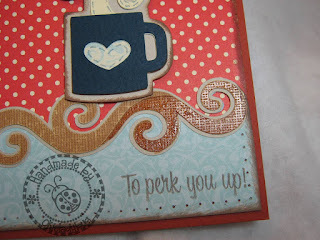 I love the card and the cut of the steaming coffee cup! For being obsessed with crafting products, I'm not sure I know what glimmer glaze is or how it works. I would love to see more on this! Thanks for all you do Okie! What a fun card. Now off for my own warm up. Thanks for the mug file! I have several ideas to use this on some cards. Very cute! What is glimmer glaze? Coffee runs through my veins! Love the card! Can definitely use the files to CASE you! Thanks for sharing! Great card.